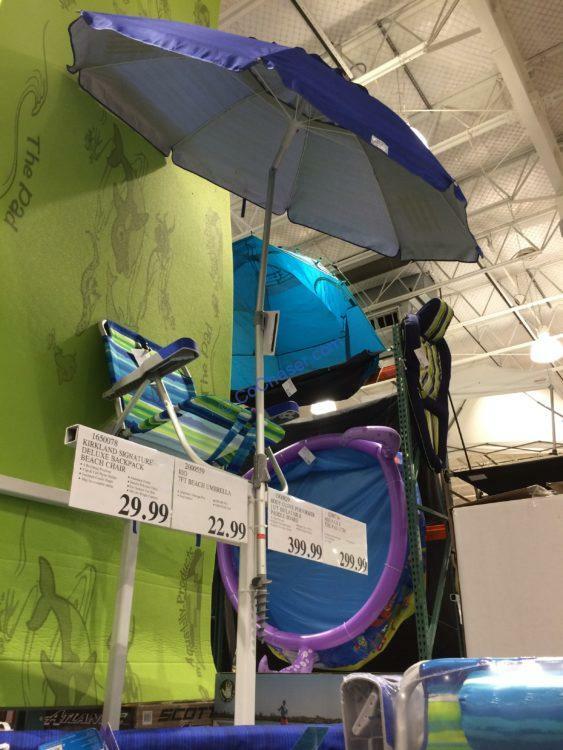 Seek comfortable shelter from the blazing sun under this RIO 7FT Beach Umbrella. This umbrella has clever features and extra-sturdy construction that will not bow or bend. Use the fold-down handles to screw the base securely into the sand, clip in the umbrella and tilt the canopy to your liking. Made for the brightest days, it is the ultimate in all-day sunscreen, rated UPF 50+ for sun protection.